Your next seminar, a unique occasion to build your agile culture. Re-invent your organisation to fully empower teams. Learn how to continuously evolve your company towards its deeper purpose. After careers in multinational organisations, we each began working in the fields of transformation and organisational design some 15 years ago. We belonged to an informal pioneering community exploring how collaborative intelligence tools and approaches could be brought into multinational organisations. Along the way, we both discovered new methodologies such as Agile, Holacracy, Sociocracy and most recently TEAL organisations. 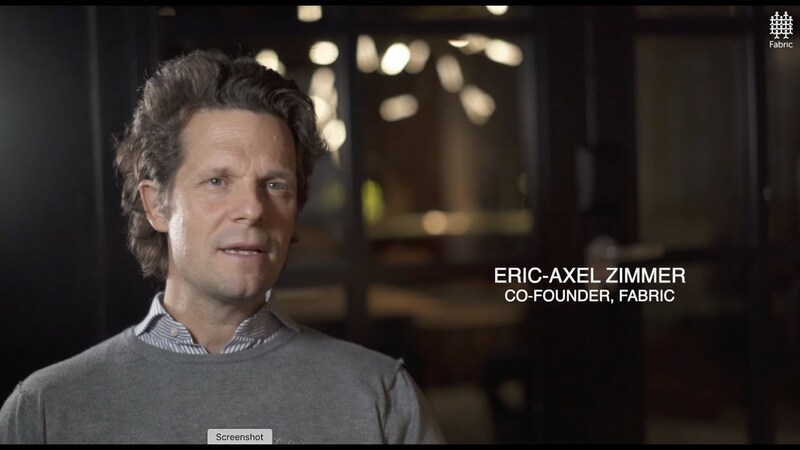 By the time we met up in 2014, we had both arrived at the same intuition: that companies are living organisations and not just material constructs and that they have a key role in inventing solutions to the great challenges of our time, and we decided to dedicate ourselves fully to this vision. We began by merging our similar approaches around collaborative ways of working. We then added on top of this foundation a common practice based on purpose based organisations, self-governance and skilful participation. And we are still adding new layers today as our understanding deepens. We work primarily with managers who are personally committed to evolving their organisation towards this new paradigm. Experience has taught us that this is the only way to have an effective impact in companies and their ecosystems. Our community of professionals is dedicated to producing profound transformation in complex business environments, thanks to the emerging discipline of Adaptive Governance. 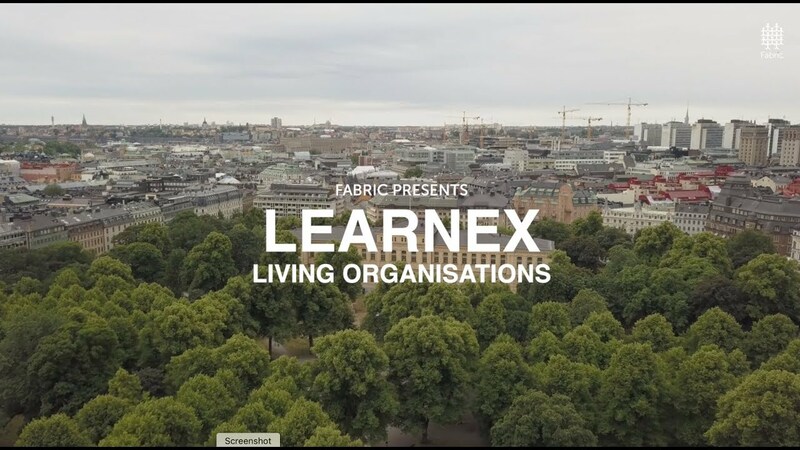 This exciting adventure we call Fabric. We support your evolution from a pyramid-matrix towards a living organisation. Empowered self-organised teams bring agility, effciency and adaptation to a company functioning as a living system. How do we create Self-organised teams? • We bring management and teams together for alignment. • We help you clarify together your organisation’s purpose in order to mobilise your teams on an intellectual and emotional level. • We help you think out the box to re-define the roles, scope and accountabilities required to serve your purpose. • We train your team on decision making processes that both empower individuals and use collective wisdom. • We coach your teams into putting in place an adaptive governance process. Design efficient meetings structures with collaborative tools and methods using your own in-house trained facilitators. How do we help you implement Agile ways of working? • We bring in powerful processes from the field of Collective Intelligence, Design Thinking, Agile and Holacracy into your business management. • We co-design your new team meeting formats within Operations, Governance, Strategy, Team regulation, Innovation & Product design. • We ensure each team chooses a facilitator. • We train and coach your facilitators to lead your set of new meetings. • We design and facilitate large conferences and seminars (innovation sprints, mobilisation around a common strategy, sharing best practices and identifying and solving key managerial problems). Those are great boosters as they anchor collaboration and agility in the company culture. The shift to living organisation requires a change in mindset and behaviour. Especially for the managers who are used to hold power. How do we support individuals do that shift in mindset? • We envision individuals as purpose agents. We invite everyone to explore how their individual purpose resonates that of the company’s. • Through efficient collaborative practices in meetings we remove the room to game the system. • Through training and coaching we bring each person to become more aware of their impact on the group, thus moving towards more collaborative and mature interactions (adult-adult relationships). • We render visible the polarities at play in the teams, and how those interfere with the needs of the organisation. We have offices in both Paris and Brussels. 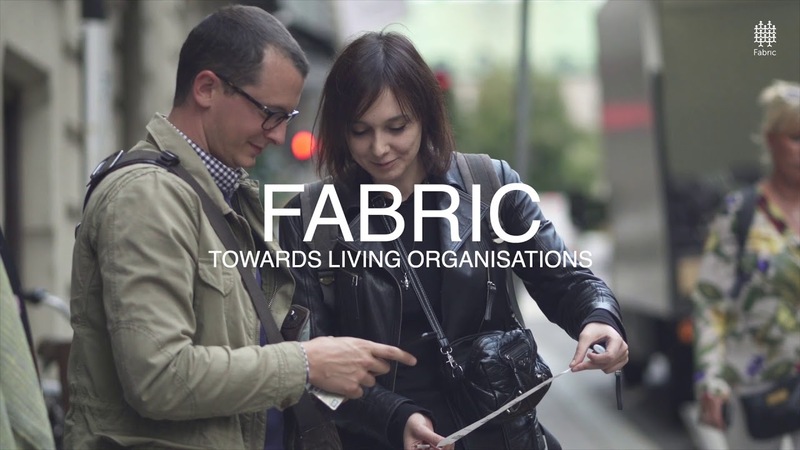 In keeping with our post-conventional view of the world, Fabric is organised in concentric circles, where people have roles that can take up anywhere from 5% to 100% of their time. We have an open shareholder structure, which allows anyone who devotes more than 50% of their time to Fabric to be eligible for shares.